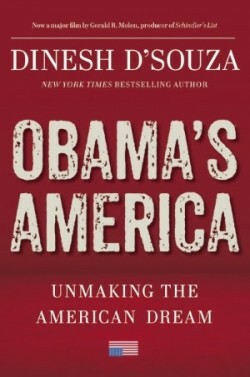 American right-wing author Dinesh D’Souza interviewed Willy Kauai, a Ph.D. candidate in political science at the University of Hawai‘i at Manoa, for his book “Obama’s America: Unmaking the American Dream” that was released in August of 2012. Kauai’s doctoral research centers on Hawaiian nationality/citizenship since the 18th century to the present. Kauai’s presentation referenced by D’Souza, titled “Why the Birthers Are Right for All the Wrong Reasons: Re-centering Law and De-centering Race in Hawai‘i,” at the University of Hawai‘i Political Science Department, can be viewed on YouTube in 6 parts. Part 1, Part 2, Part 3, Part 4, Part 5, and Part 6. This entry was posted in National by Hawaiian Kingdom. Bookmark the permalink. Arguements of this nature only hurt the Hawaiian people. The birther discussion is rooted in racism. A non black president would never receive this kind of attention. Why even discuss it further. Why the Hawaiian kingdom perennially links up with far right wing republicans is far from progressive for any nation and from an outsider perspective makes the group come off as essentially religious zealots. Obama as much as you may not like it is an avid American as are a lot of Hawaiis residents. I doubt he would vote for Hawaii to be its own nation. This kind of article only further alienates the majority of the population ever voting for your cause. A total waste of time in summary. Willy Kauai is a Ph.D. candidate in political science at the University of Hawai‘i at Manoa. He is not a member of the birther movement. Dinesh D’Souza visited the political science department and asked to speak to someone regarding President Obama’s citizenship and the department recommended he speak with Kauai because his presentation “Why the Birthers Are Right for All the Wrong Reasons: Re-centering Law and De-centering Race in Hawai‘i.” We recommend that you watch the YouTube 6 part videos of Kauai’s presentation. Hawaiian is not a race! You can no more tell the race of a Hawaiian than you can tell the race of an American. Hawaiian is a political term for ones nationality! If indeed President Obama was born within the Hawaiian Islands would be of no concern to the Hawaiian Kingdom or its nationals. The real concern would be if President Obama’s place of birth is compliant to the United States Constitution, no race issue involved here, just Government ot Government! By government to government, I mean the U.S. government being okay with President Obama being born within the jurisdiction of the Hawaiian Kingdom. President Obama doesn’t have a vote to determine whether Hawaii is to be its own nation, Hawaii’s independence was declared by a joint proclaimation on November 28, 1843, La Kuokoa! The U.S. is however without a treaty of cession of the Hawaiian Islands. No treaty, no State of Hawaii! Contracts entered into without authority of the Hawaiian Kingdom and within its jurisdiction is void ab initio!